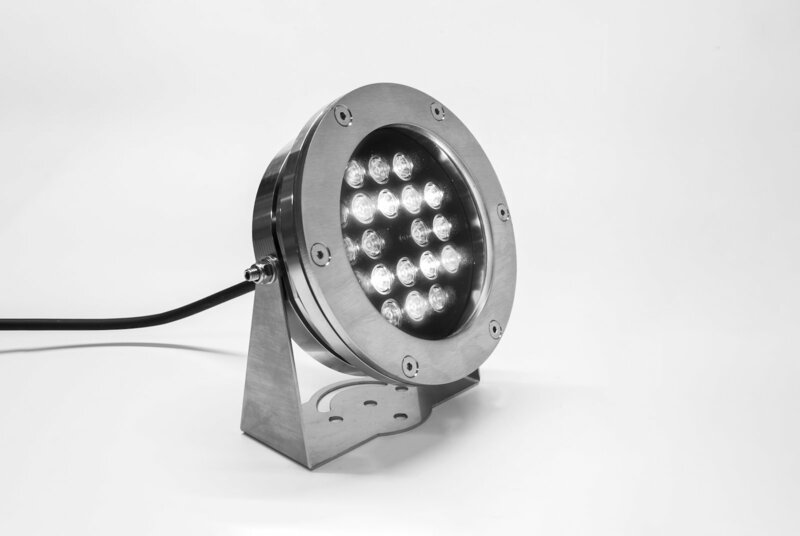 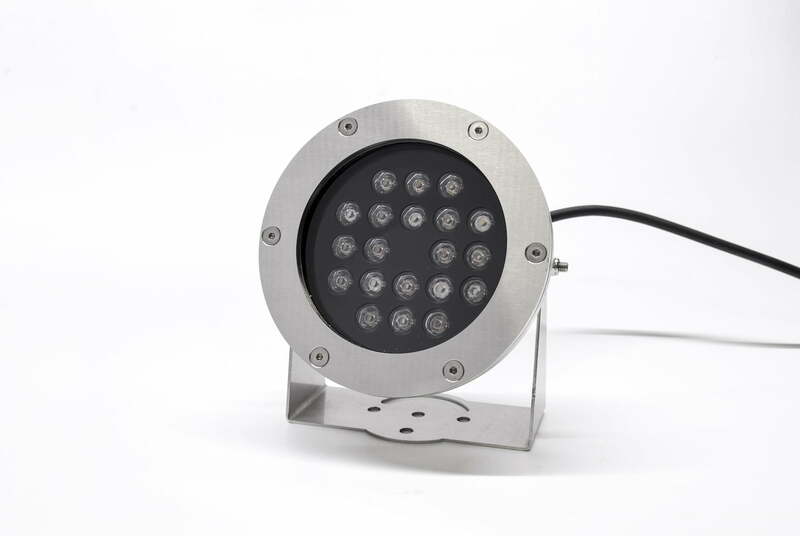 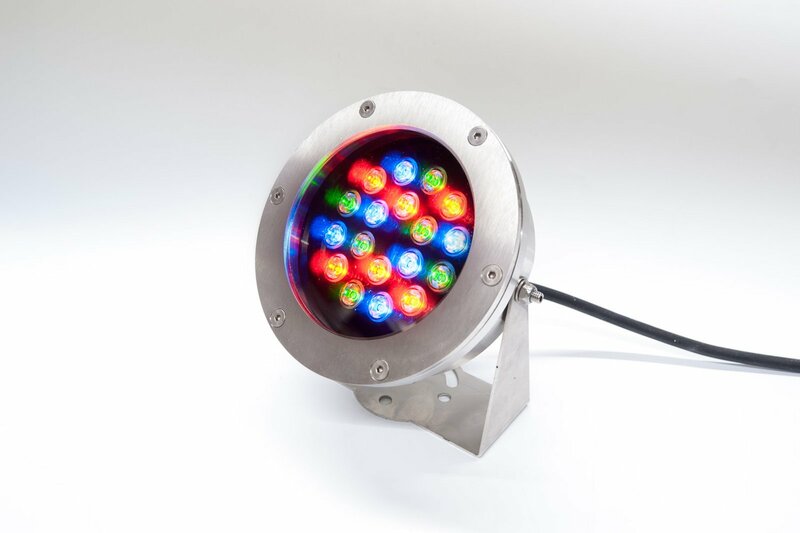 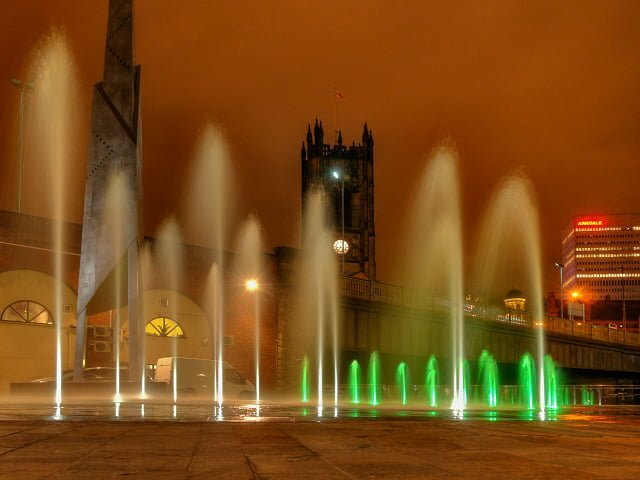 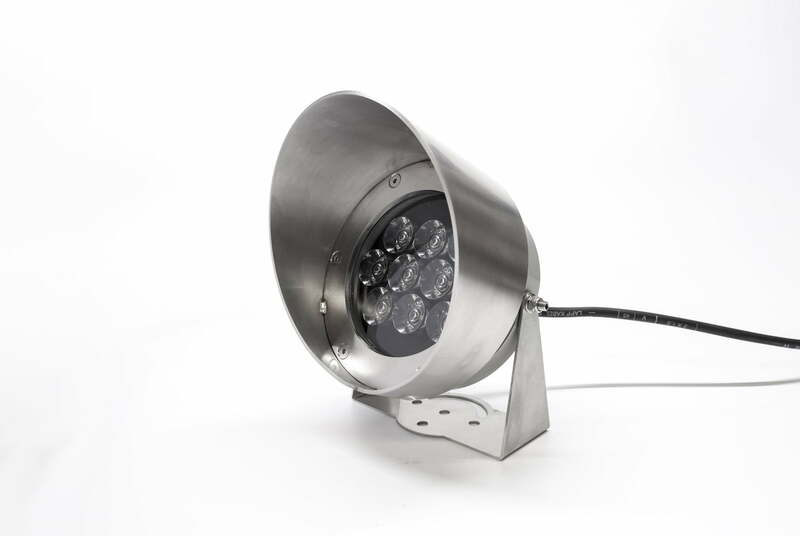 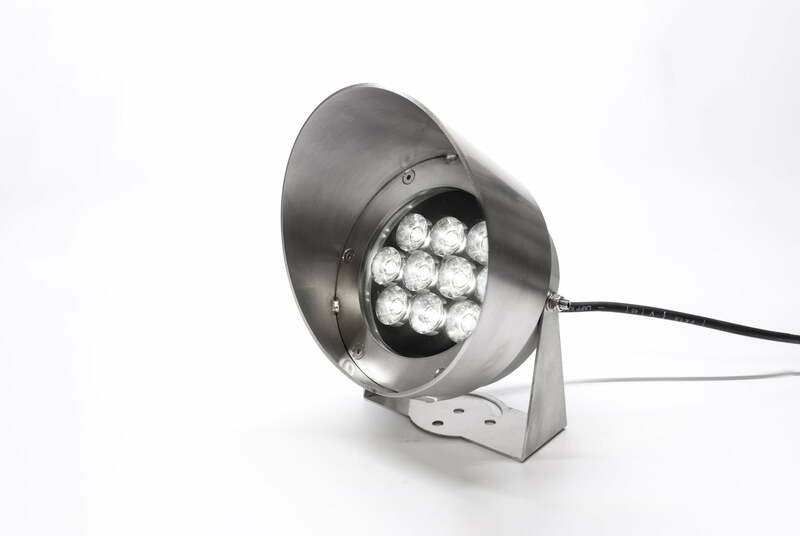 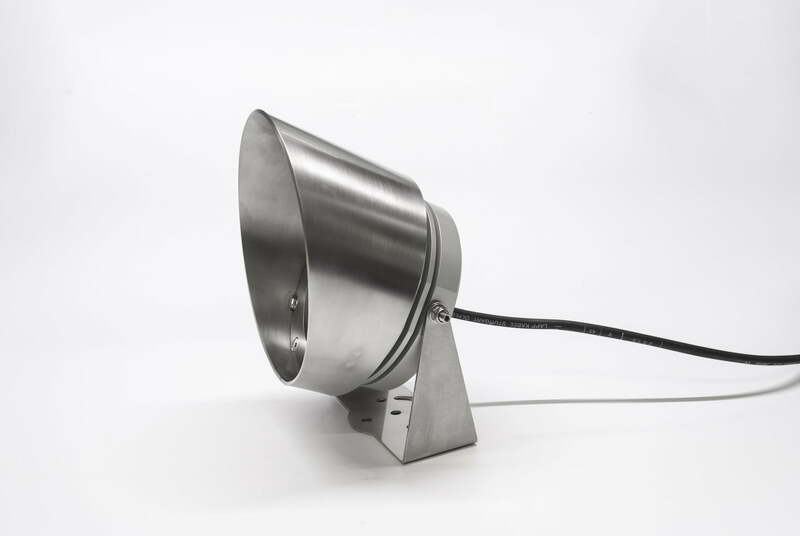 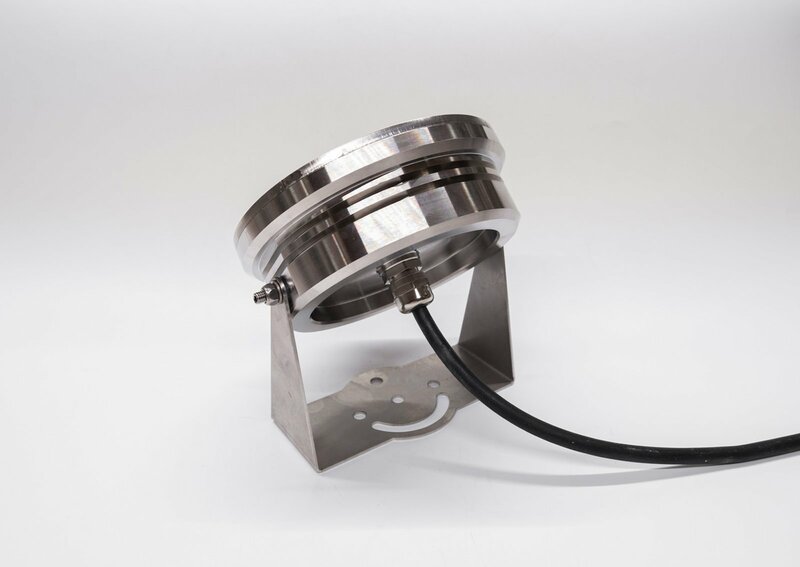 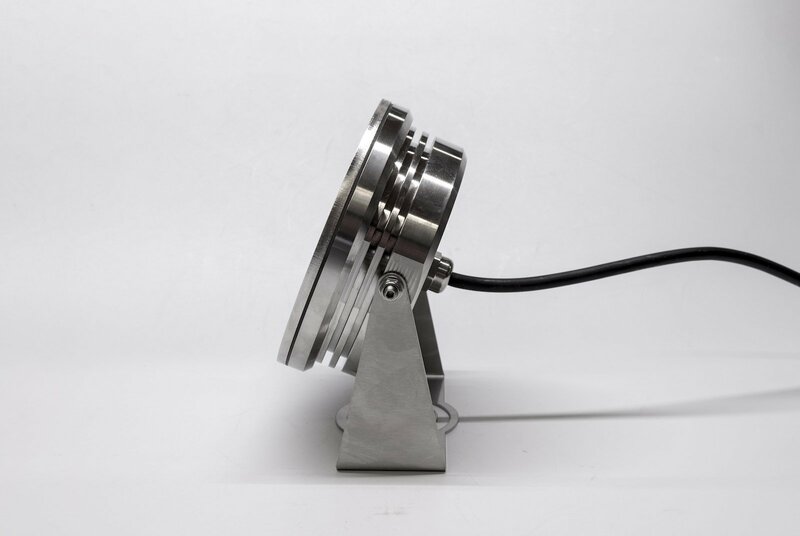 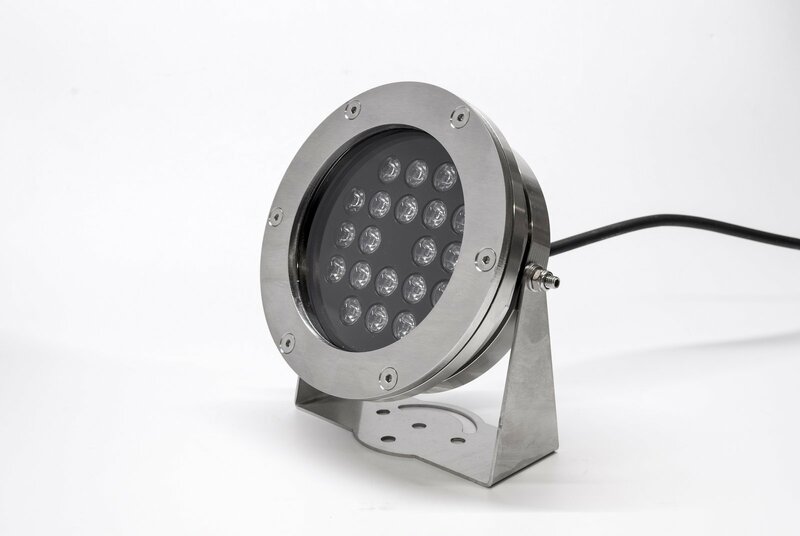 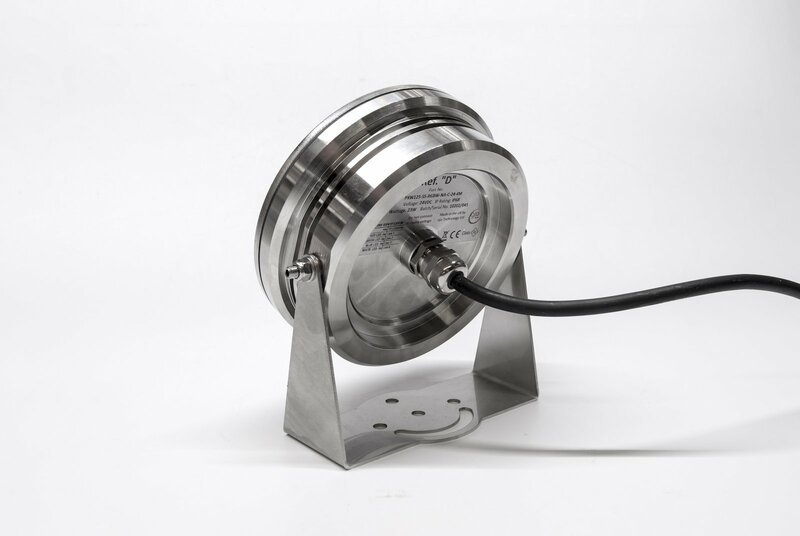 Ø125mm LED fountain luminaire fitted with 20 x high power Osram “Oslon SSL150” LEDs. 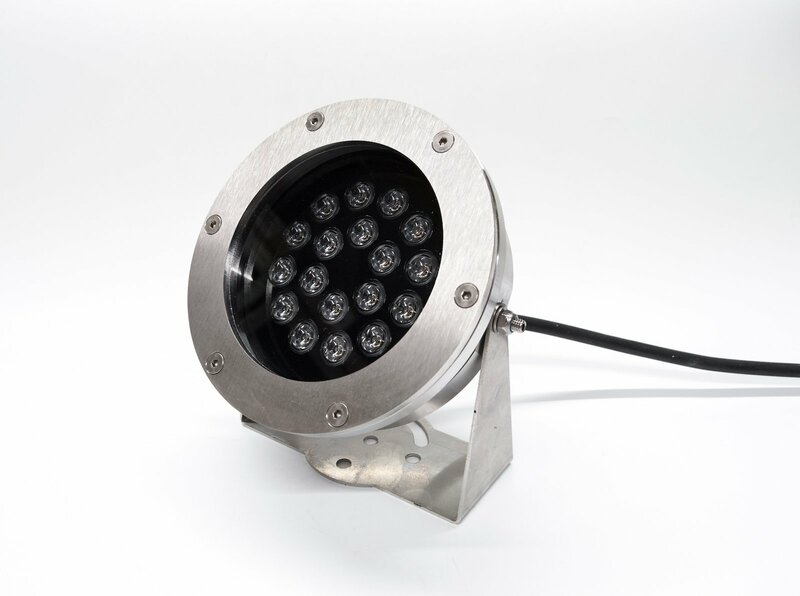 Constructed from a high performance, precision machined 316 stainless steel body with a toughened clear glass lens and Carclo IP‐rated medium angle (15°) output optics. 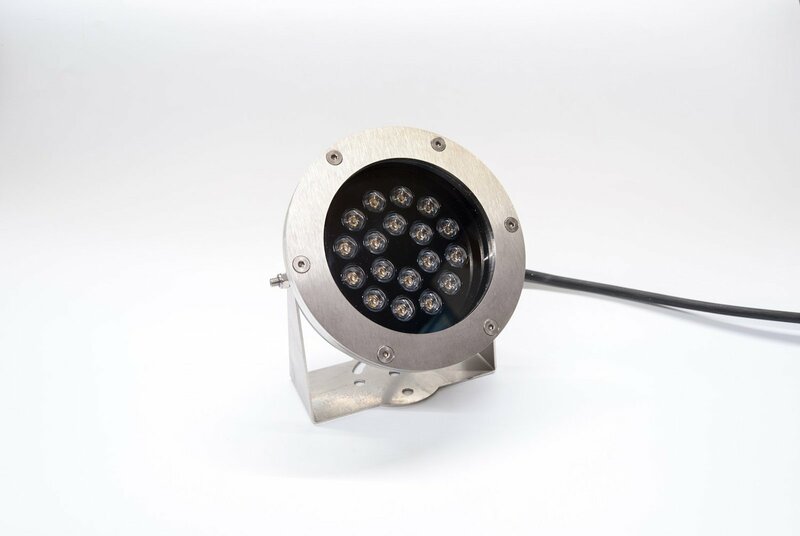 Terminated with a 4 metre, 5‐core TPE flying lead (various lengths available) via an IP68 PG9 cable gland. 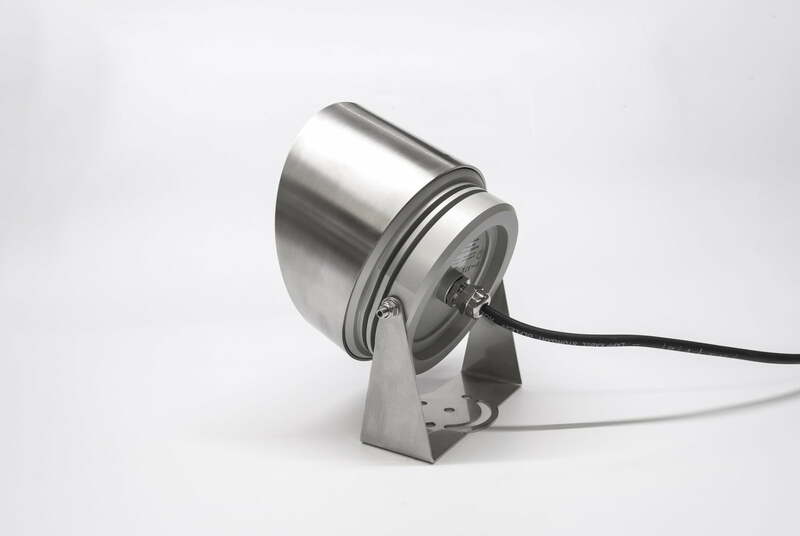 This LED unit incorporates an on‐board “Linear” regulation circuit, allowing the unit to be wired in parallel to a 24VDC constant voltage power supply. 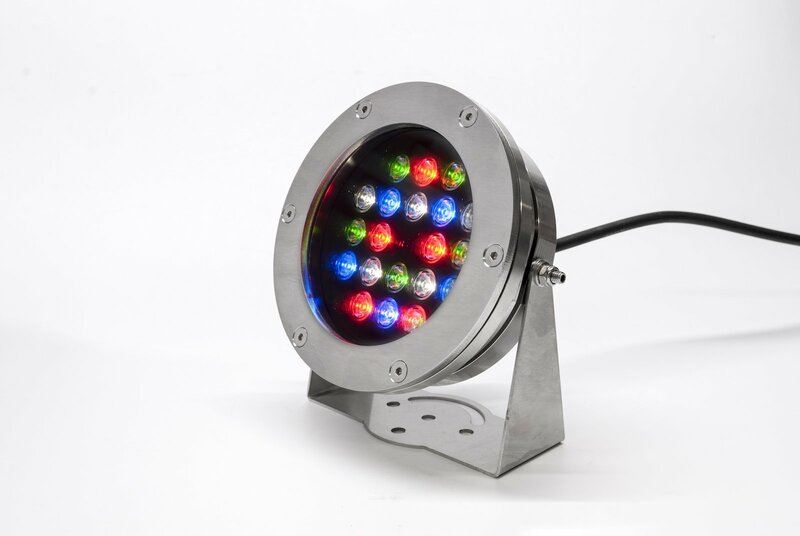 LED Data: Power Consumption 24W max. 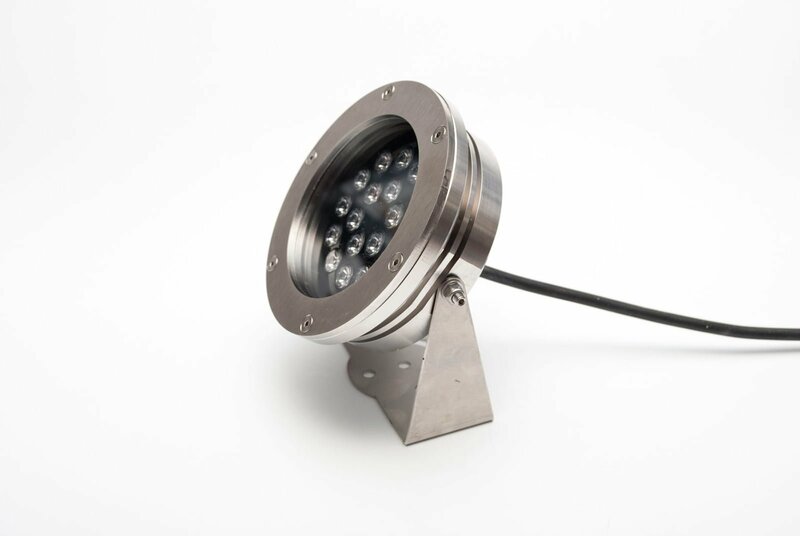 Note: Lumen output has been adjusted for a 90% optic efficiency.